Perhaps individual church chairs are not all that you’re looking for. 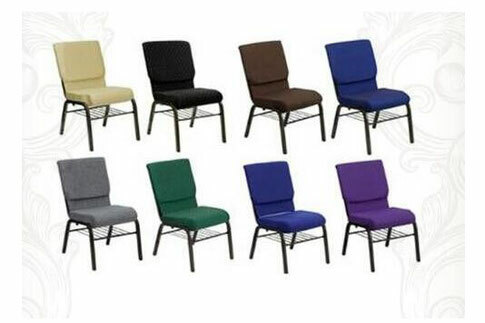 When considering a church chair provider, you may want to see if they have other types of church seating such as pews and theater style chairs as these may fit your sanctuary and congregation better. Not all church chair providers will offer each type of church chair seating, so you may have to shop around for one that offers all or most seating options.